Yes, that would be little ol' me. 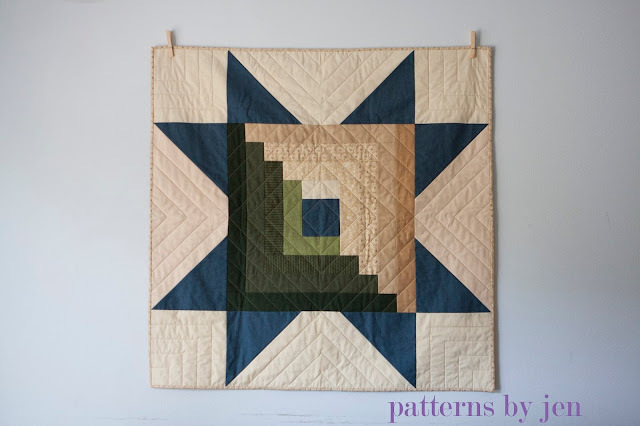 Head on over to McCall's Quilting Blog for a little inside story of Criss Crossing. 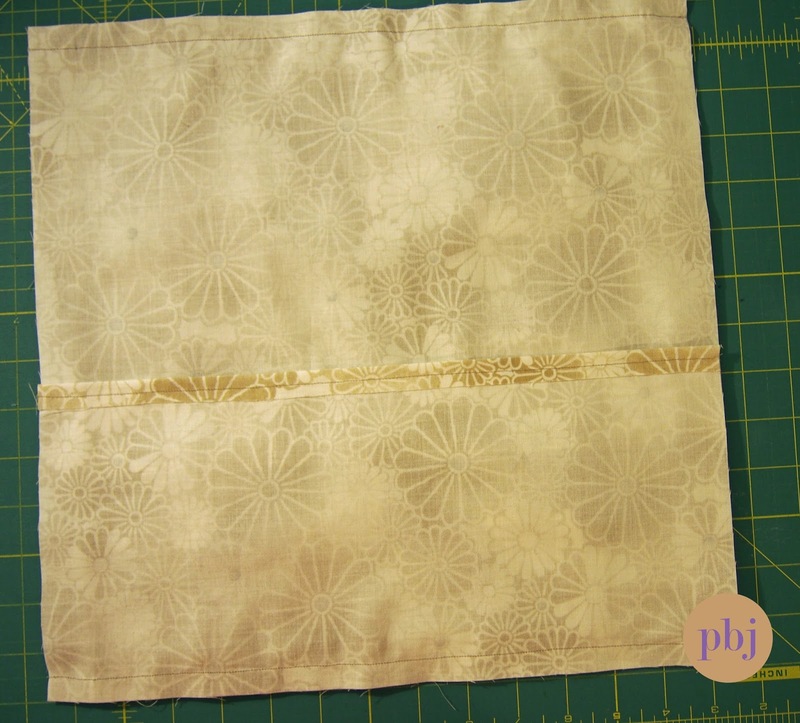 I have included in the guest post instructions for an envelope pillow pattern. My favorite kind, obviously, since this is the second one I have put together. 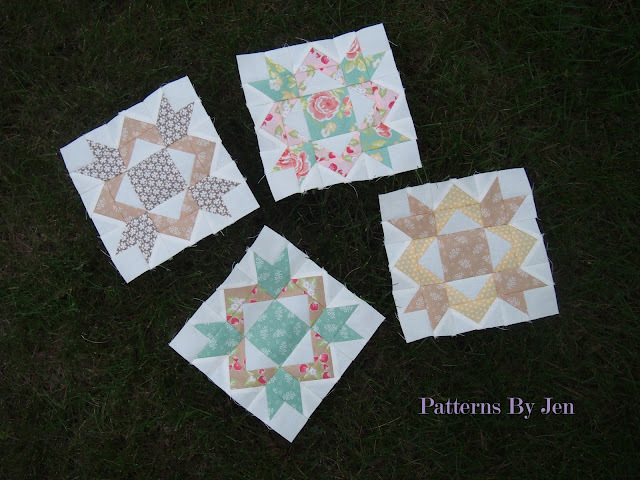 The first one is here and based on my newest pattern, Star Light, Star Bright Sampler. Can you have too many pillow covers? Possibly, but if you don't count them, who would know? See, how cute is this? I couldn't NOT make it, could I? 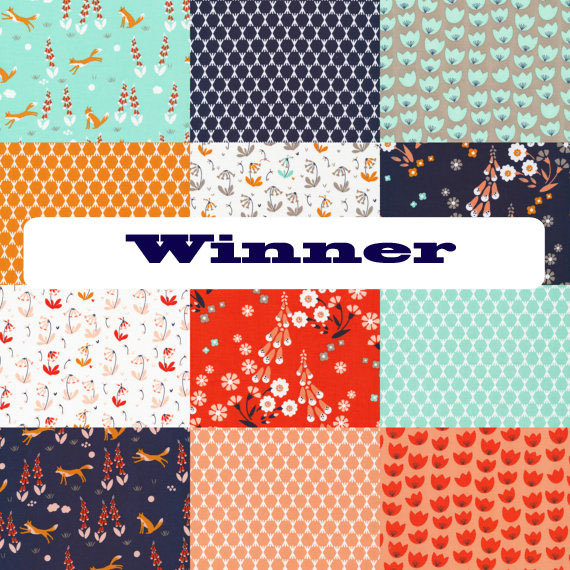 Two winners were chosen for the McCall's Quick Quilts Aug/Sept 2016 issue. Congratulations, Merrilee J and Ioleen! An email has been sent. If you didn't win and would like a copy, you can purchase a printed or digital copy here. 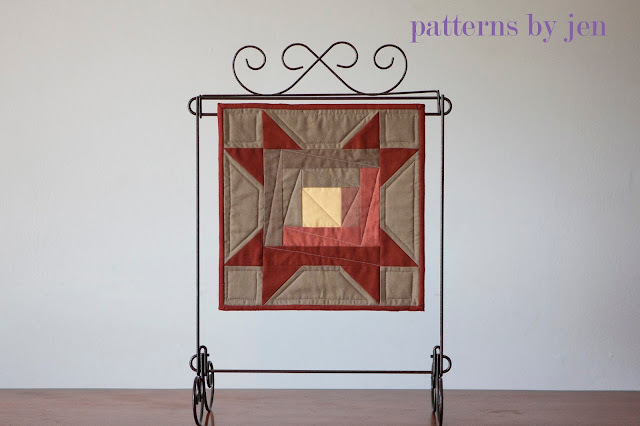 A coupon code from Phat Quarters is still available in this post. 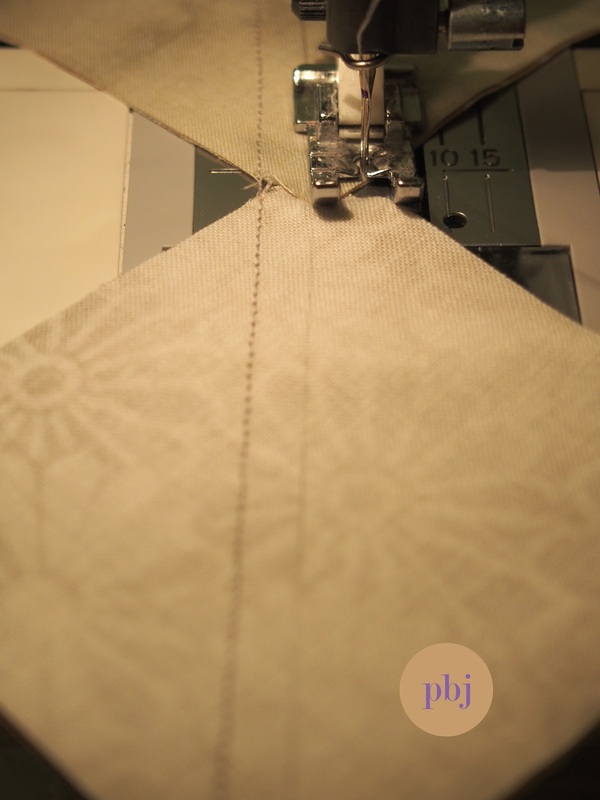 This is the perfect time to pick up some pretty fabrics for a project. Or to just add to your stash. 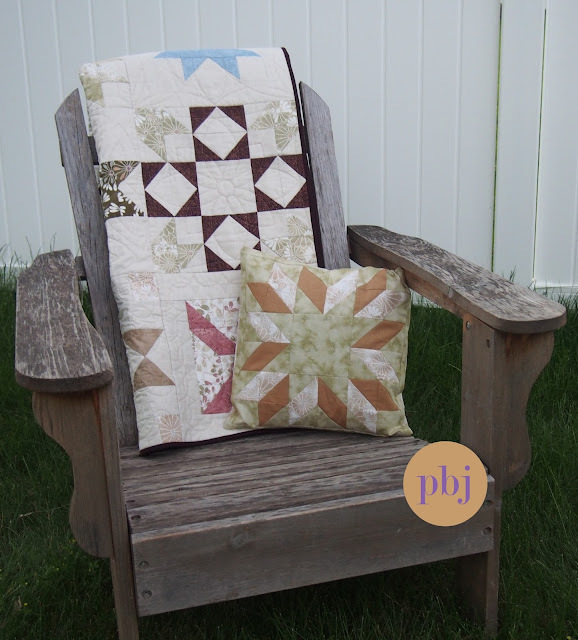 A big thank you to McCall's Quilting and Phat Quarters Fabric for a great week. What a way to finish off June. July has a lot to live up to. We have a winner for the "choose your 3 fat quarters" giveaway from Phat Quarters! Congratulations, Kathy B! An email has been sent with instructions. Enjoy those Foxglove fabrics, I'm kind of jealous. Like a lot! Are you jealous, too? 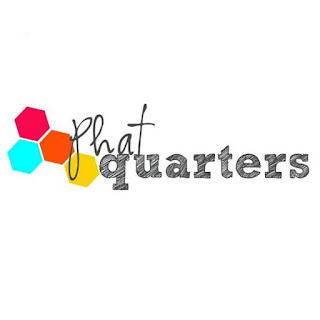 Well, Phat Quarters is giving you a special coupon code to receive 25% off an order of $20 or more. Head to their etsy shop here, and when you check out, use the coupon code: PBJ25 This coupon code is good *Through The End Of July*! I hope you show them some love, because they showed this new-to-the-blogging-world designer lots of love and support. I'm not done yet, though! 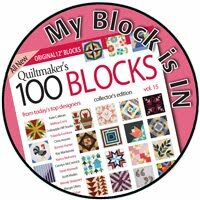 This giveaway may have ended, but there is still a chance to win a copy of McCall's Quick Quilts Aug/Sept 2016 issue. Head back to this post to enter. I mentioned here that it was a busy month, and it's all coming together now, so don't forget that in that post I offer my own coupon code for a discount on my patterns. Is it time to breath yet? I don't know, but it is definitely time to get back to sewing. Thank you to everyone who left a comment. 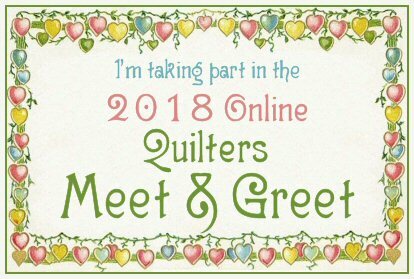 You are all extremely busy little quilters. I hope you you continue to have projects to keep your machines humming. Yes, it's true! Can you believe it? I can't. 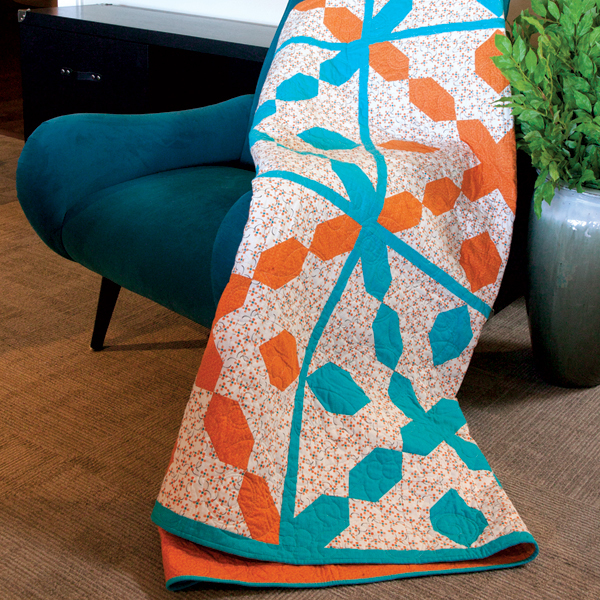 I've been pinching myself since February when I heard from McCall's that they would be putting Criss Crossing in their McCall's Quick Quilts Aug/Sept issue. Yeah. Crazy! I can't tell you how crazy. Goosebumps, crying, laughing, jumping up and down crazy! Criss Crossing was such an adventure for me. Something you will hear more about in a few days. 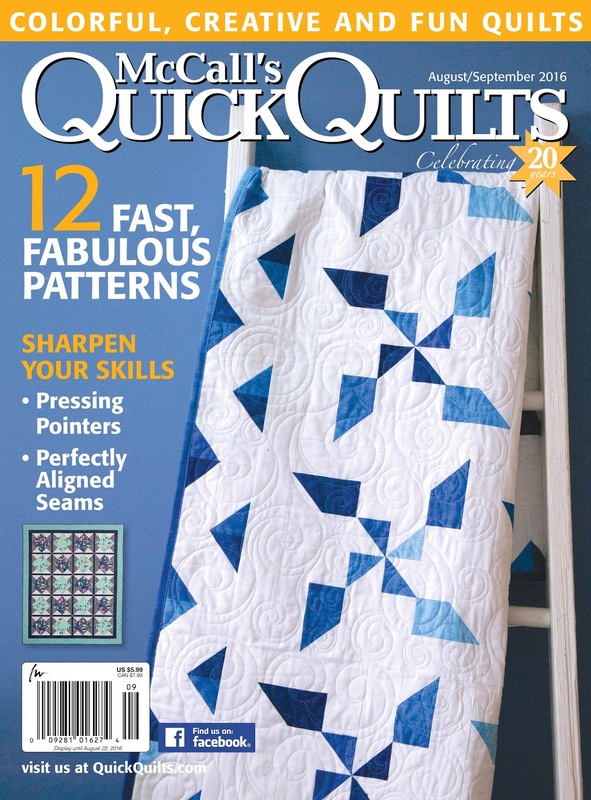 For now, I am going to be giving away 2 copies of the McCall's Quick Quilts Aug/Sept 2016 issue. That's right, 2! Yes, I know, this is the 3rd giveaway in 2 weeks. I told you here it was a crazy month. The culmination of it all is happening now. This was such a great experience. Everyone I talked with (i.e. emailed) was helpful, quick to reply and made my first magazine submission smooth and enjoyable. McCall's supplied me with this awesome WOW button. How many places do you think I can get a way with placing it and not look like a crazy person? 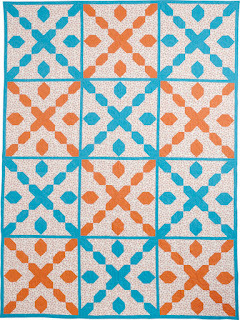 Teal and orange is quite a step out of the box for me, but there was just something about the combination that drew me for the quilt. I'm slowly checking those 2016 goals off my list. McCall's Quick Quilt Aug/Sept 2016 issue should be in stores June 28th (that's Tues)! If a store near you doesn't carry McCall's you can order your own copy, digital or printed, here. Here's your chance to try for a copy of your own. Good luck! Free Pillow Pattern and a Giveaway! 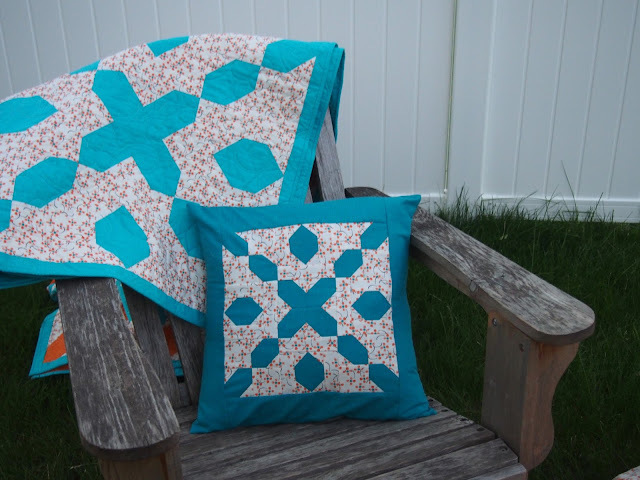 Continuing with the excitement of a new pattern release, I have a pillow cover pattern for you. Make one as an accent to your snugly Star Light, Star Bright Sampler. 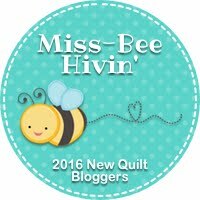 If you read all the way to the end, there is a fabulous giveaway from Phat Quarters. Fabulous! This pillow uses my favorite star from the Sampler. I love this block! 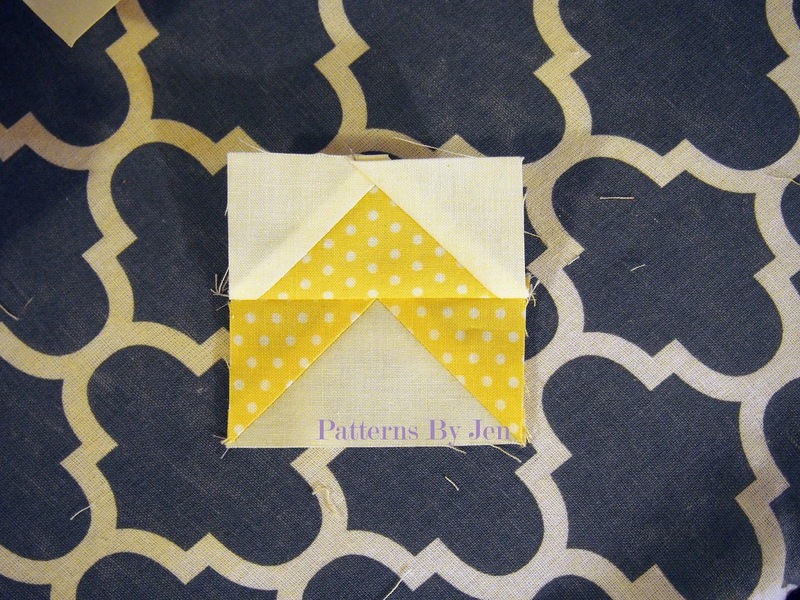 I also like to be able to switch out my pillows (well, in my head, in real life I'm lucky to make my bed), so this pattern is for an envelope backed pillow. Stick around, giveaway information is at the end of the post. We start first by drawing a line on the wrong side of all the background squares, both sizes. I like using a mechanical pencil, it's a nice thin line, but shows up well. A little tip I got from Bonnie Hunter of Quiltville is not clipping threads until you have sewn on both sides of the half square triangle. Years I have been stitching, clipping, and then stitching again. Years! 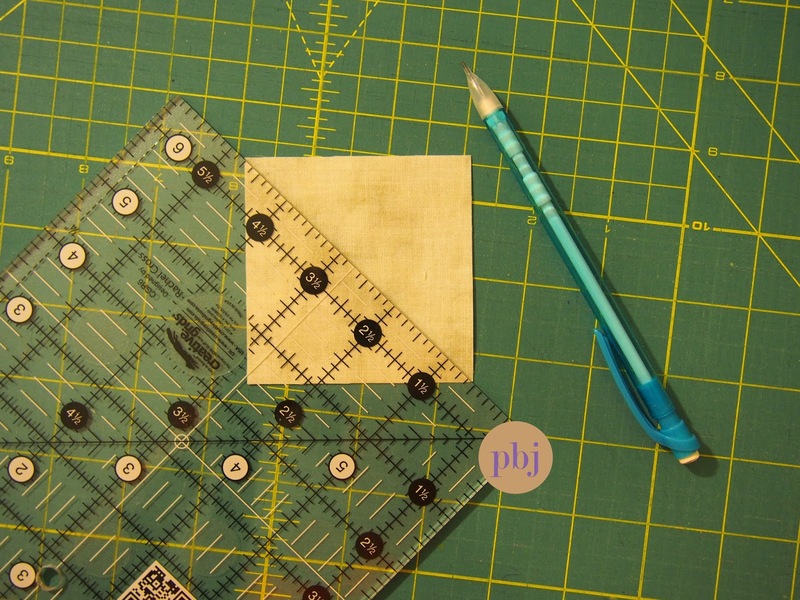 When stitching the 1 1/2" squares stitch just a hair over from the drawn line. Press, then trim 1/4" over from the seam. Pressing before trimming helps keep the size accurate. 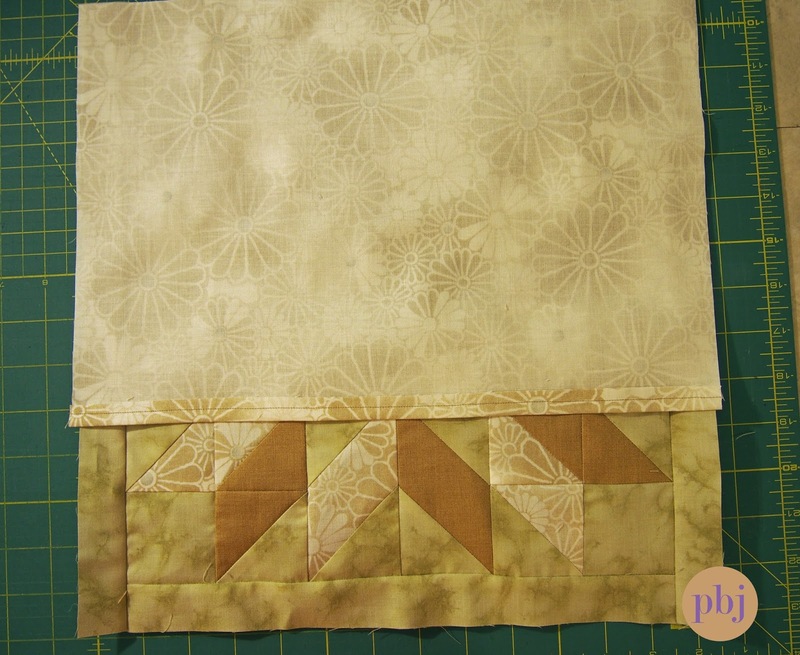 Once your block is assembled, add borders to the top and bottom. 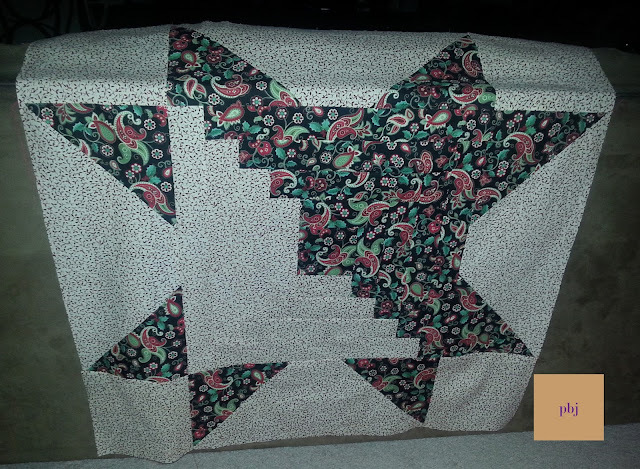 I like to stitch this part with the border on bottom and the pieced part on the top. That way I can watch and make sure I don't catch a seam and turn it. I stitch a 1/4" from the edge, that way I know I'm going to catch it all. Lay the large piece on top, right sides together and stitch the top seam. 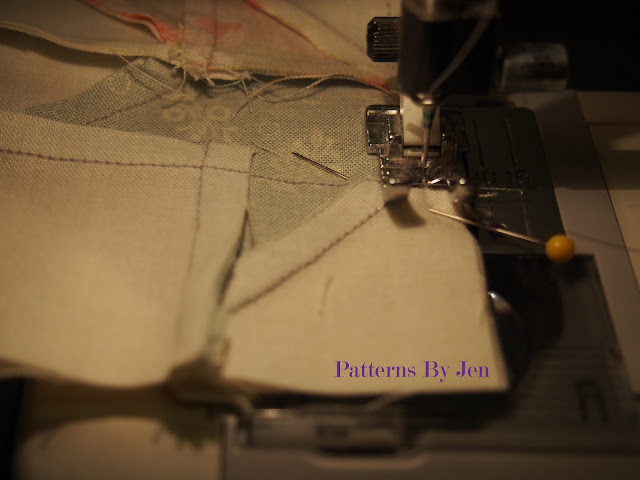 Lay the smaller piece right sides together, overlapping the larger piece, stitch the bottom seam. 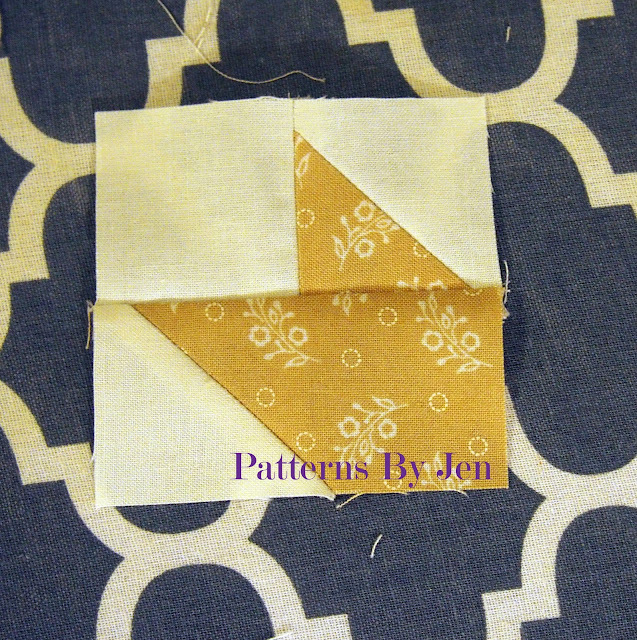 Make sure the smaller piece is laying on top, that way when you flip it, this part will be tucked under. Pin to keep it all in place. 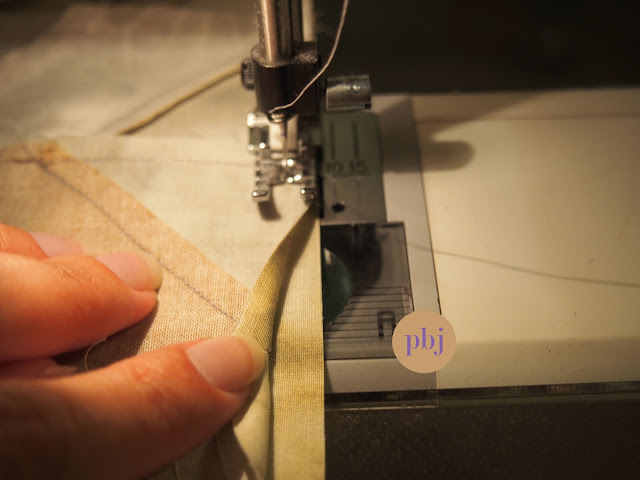 Sew each side seam. Clip the corners and flip. Give it a quick press and insert your pillow form. I'm going to need more practice. Lets just go with the simple fold. Not sure where to start? 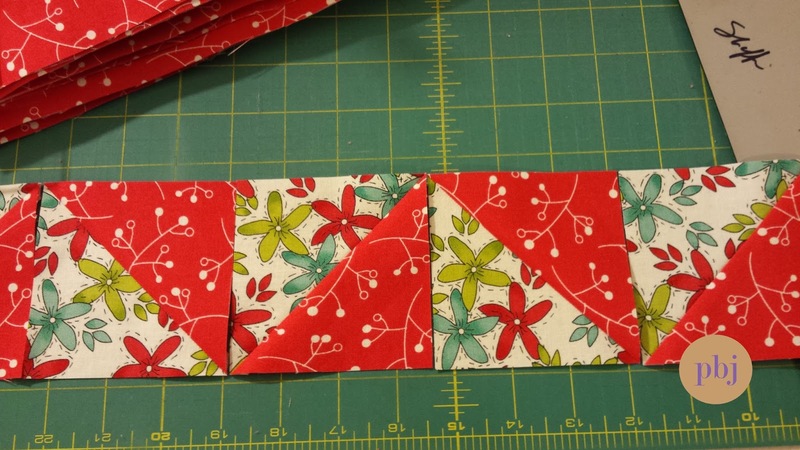 How about with 3 free fat quarters? Phat Quarters on Etsy has donated *your choice* of 3 fat quarters from the Foxglove Line. Score! 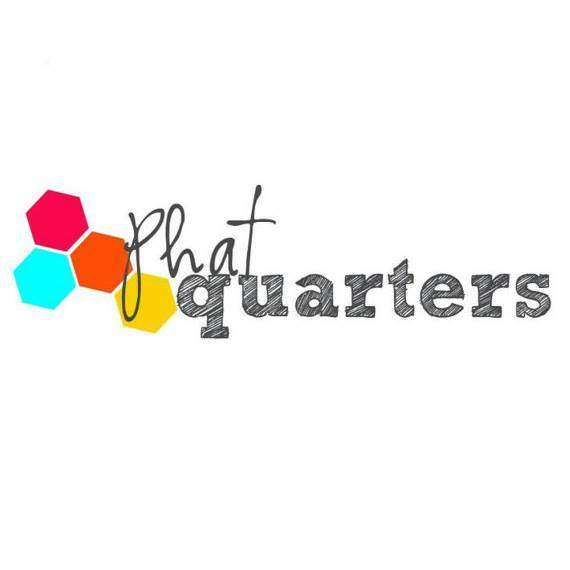 New to Phat Quarters? Check out their blog here. We have a winner! Lynn S. will receive a copy of Star Light Star Bright Sampler, the newly released PBJ pattern. Congratulations, Lynn! I hope you share with us which option you make. 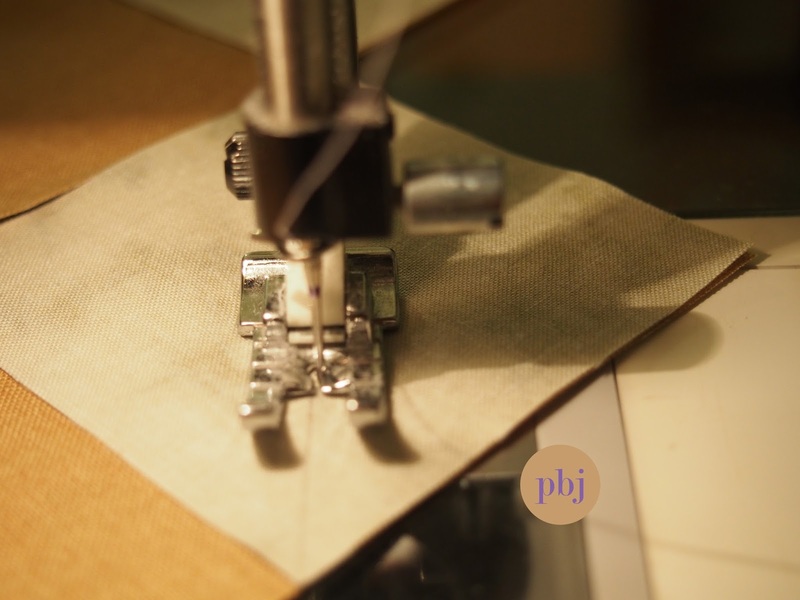 What is next for PBJ? 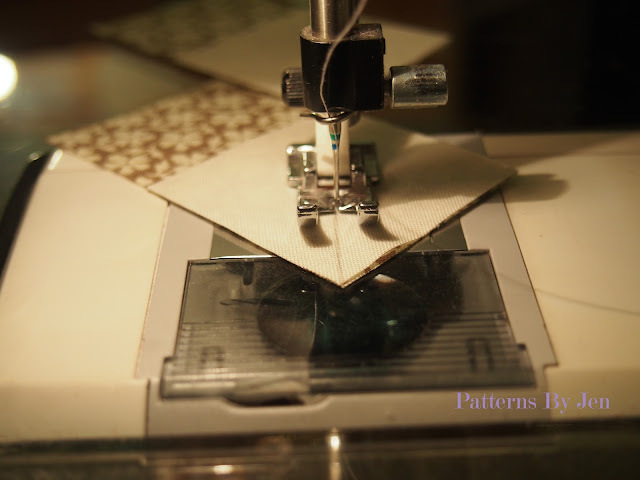 It's been a whirlwind month of June getting a new pattern published, getting the next pattern ready for publishing and sending out the next pattern to the testers. It's hard to find time to write! Well, write more then just "cut so many pieces of fabric and then sew them back together". Pattern 7, yet to be named (Hey,it's not easy finding the right name), will hopefully be released in July. 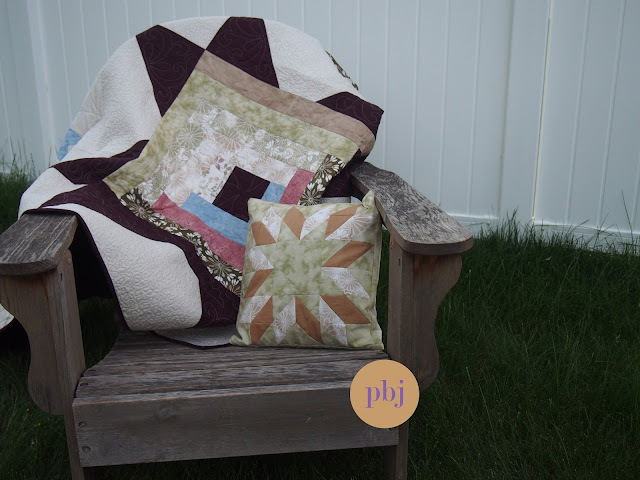 I have a few sneak peeks of the two quilts currently at the quilters as we speak. This fabric!! I love the silver. (I'm more of a silver then gold person.) This one will be the back cover quilt. Look at those points! I love a sharp point. It make me happy. 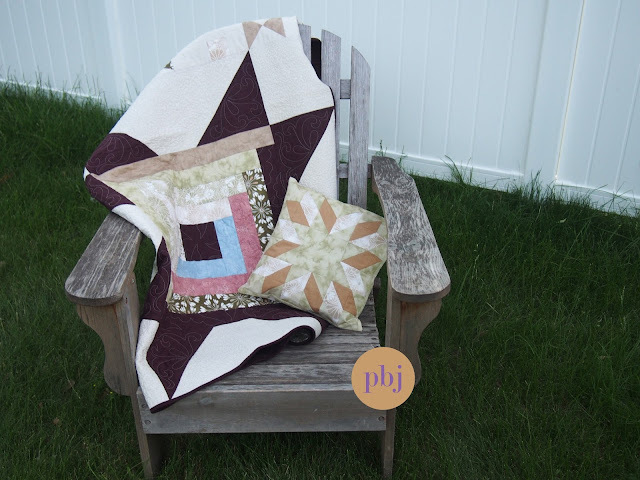 The front cover quilt is made using Pat Sloan's Hometown Girl. Man, this fabric is soft! Like, soft soft. Like lay your head down and snuggle it right in the pile of fabric, soft. Yum. Excuse the blurry cell phone picture. For whatever reason, my Photoshop did not like this picture, but it's a sneak peek, so you aren't supposed to be able to really tell what the pattern is anyway. Right?! Check back in a couple of days for the next giveaway. That's right, I've got something else up my sleeve and you aren't going to want to miss it! It's here! It's here! 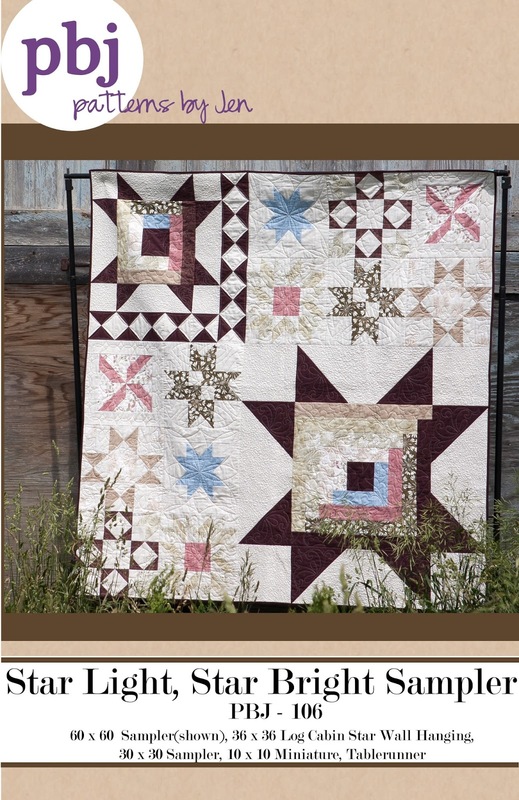 Star Light, Star Bright Sampler is now available. 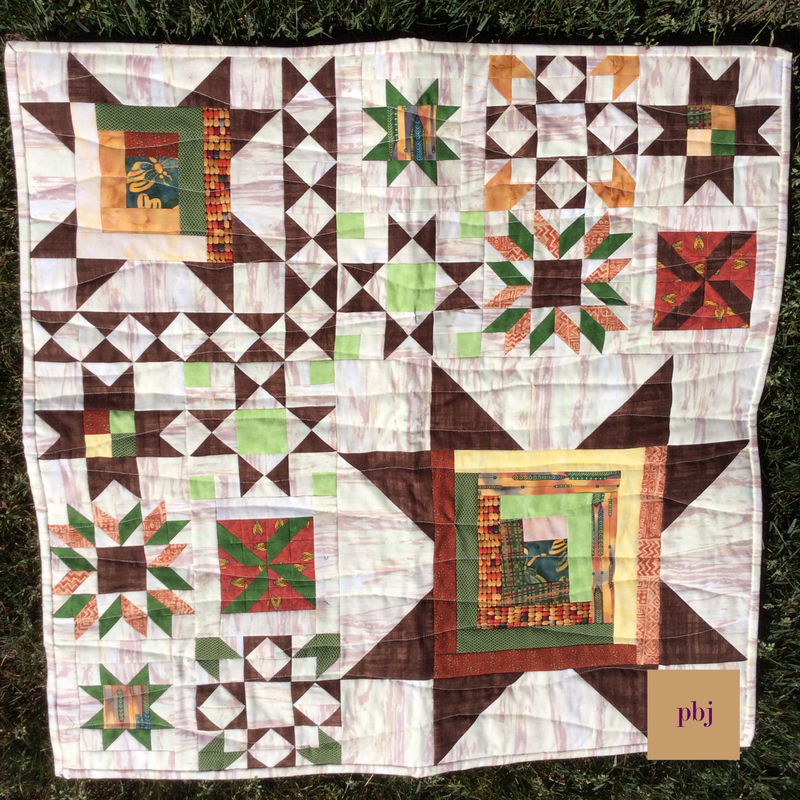 Half-square Triangles, Flying Geese and Hourglass blocks come together to help create this beautiful 60 x 60 sampler. 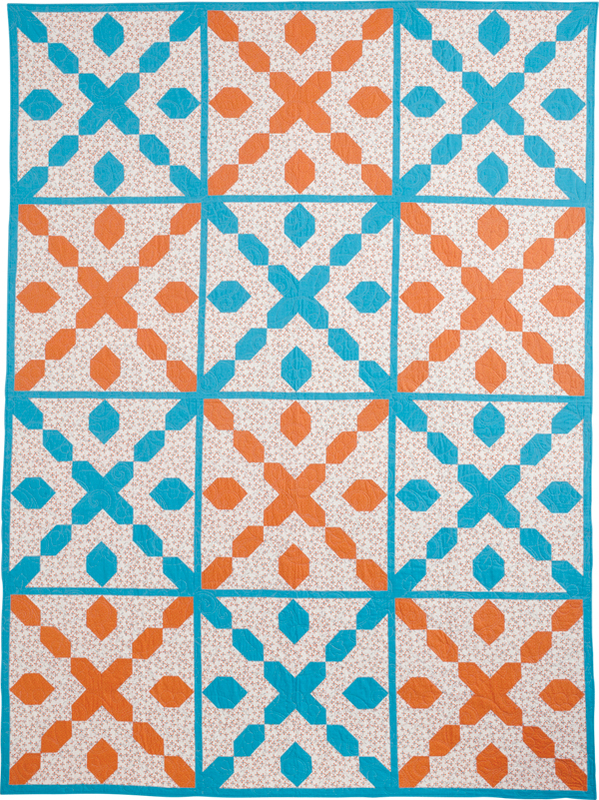 There are instructions to make a 30 x 30 version of this sampler as well. 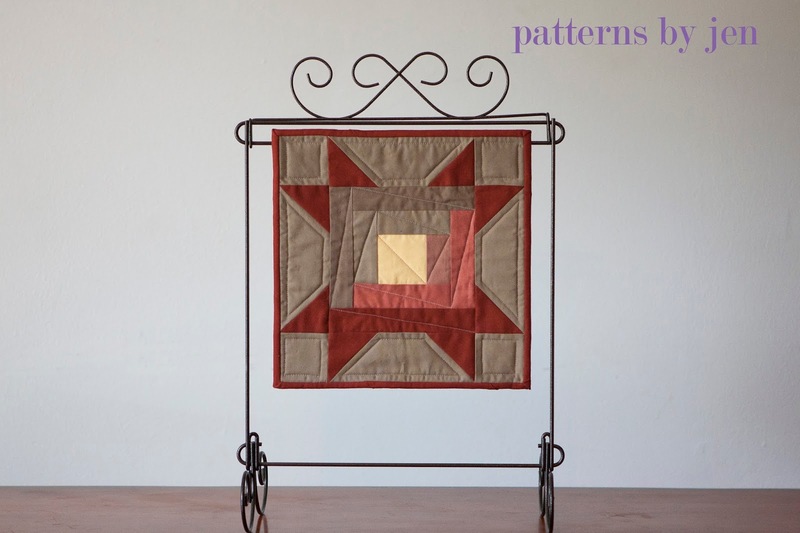 Not only do you get the two quilts, you can also make a 36 x 36 wallhanging. 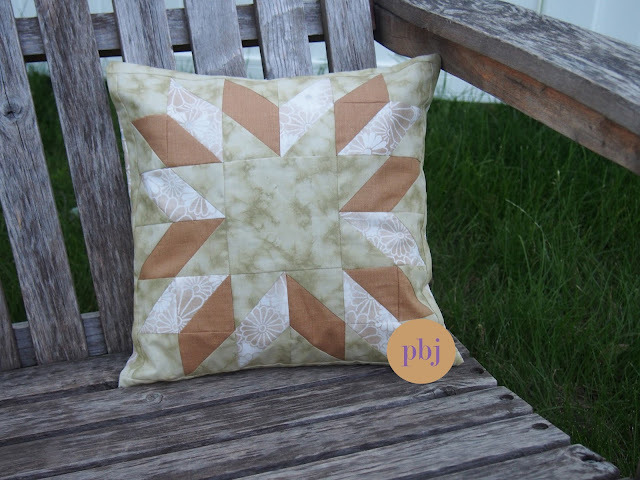 So many different colorways you can choose from to make this star your own. Not what you are looking for? What about a miniature version? 10 full inches of cute! Quick, simple and... cute! Wait! There is more, and no, I"m not talking about the giveaway, though that is coming, too! I think your table is feeling left out. The walls, counters,couch, they all get something, but the table gets left out, again. Not this time table! This time I've got you covered. Seriously, I LOVE this table runner. I think it's my most favorite thing ever. Oh, look! Christmas colors! 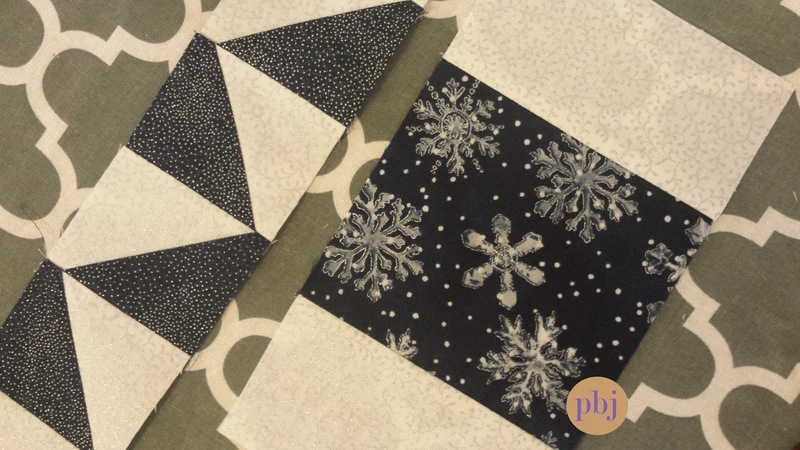 Tester Sandy chose Christmasy fabrics for her run through of Star Light, Star Bright Tablerunner. Tester Hyde chose to do the Log Cabin Star Wallhanging in two colors. She now has a great addition to her decor. Tester Joanne, from Quilts by Joanne, made this stunning 30 x 30 sampler. Loving those colors. Are you ready for the giveaway? 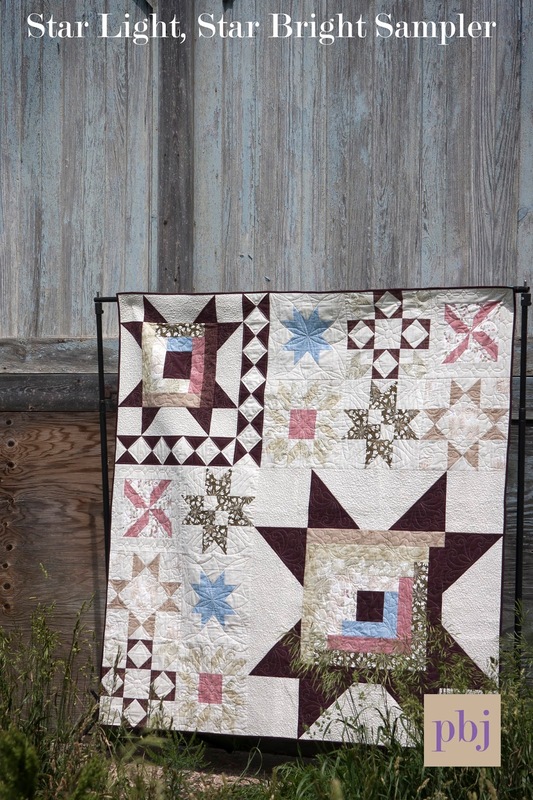 This is your chance to win a Star Light, Star Bright Sampler Pattern. Giveaway closes Sunday, June 19 at midnight. Good luck! Can't wait for your own copy? 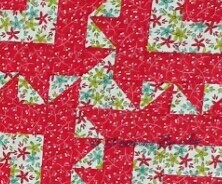 You can buy your Star Light, Star Bright Sampler in my Etsy Shop. Seams, seams and more seams. That was the thought going through my head while I stitched these blocks together. 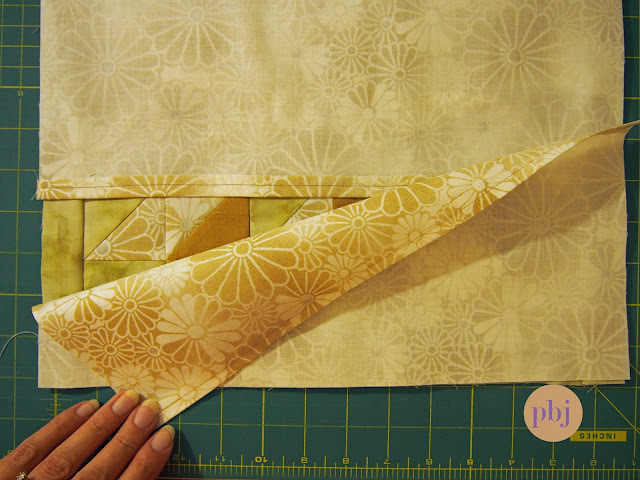 Have you noticed, though, that the more seams, the prettier the block? 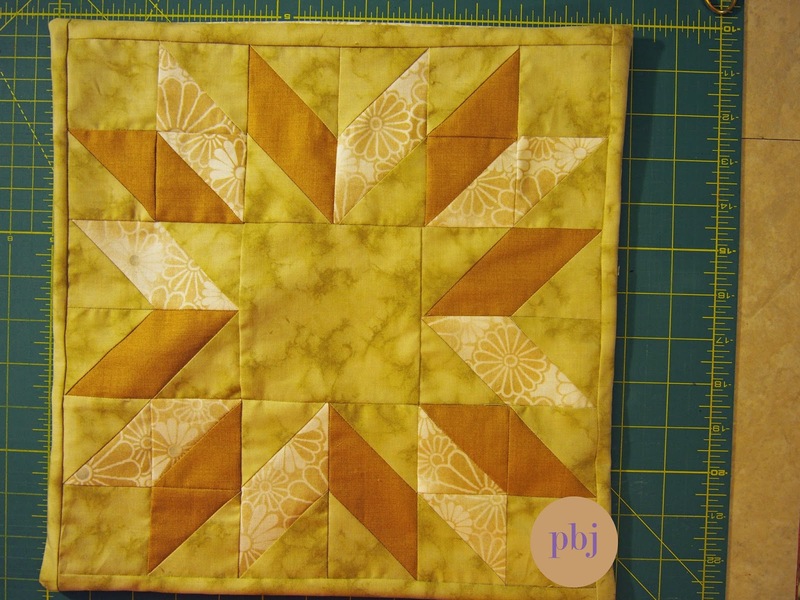 That is the case with this months Family Block from the Crossroads Quilt Along. Even when I use leaders and enders, my machine eats my corners. Although this time, I just realized it's probably because I have stitched 3 full quilts with this needle... Whoops. I think I owe Queen Lily an apology...and a good cleaning. I still have issues with the corners though, so for the flying geese units I started stitching in the middle. I still haven't gotten on board with the whole "press seams open" thing, though this block has gotten me to think about it. 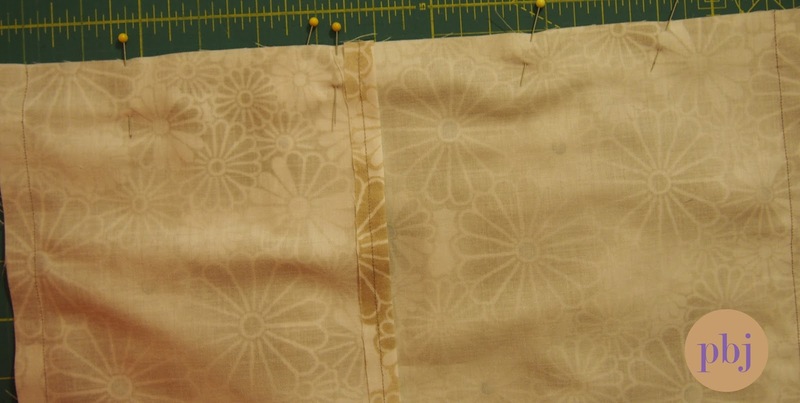 Like I said, there were a lot of seams. When those seams come together...I definitely need to apologize to Queen Lily... and get her a new needle. 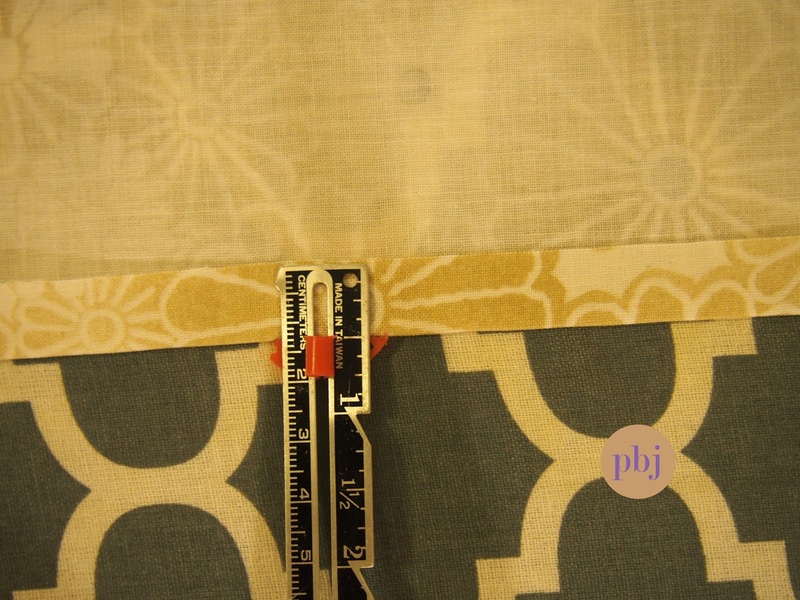 On the flying geese units I pressed up, because open seams or not, I like being able to match up my seams. It's my thing. On the corner units I pressed down. 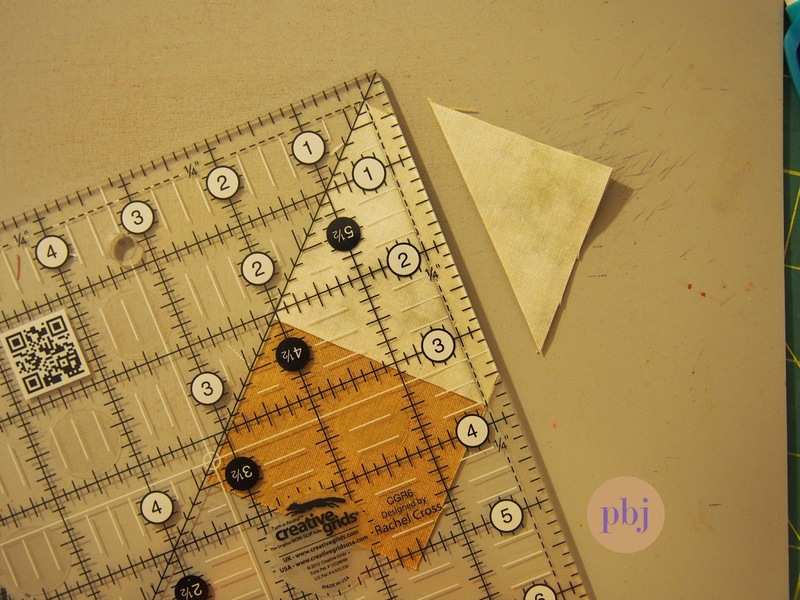 Side note: I did add 1/8" to the cutting measurements for the half square triangles. This gave me just enough to trim those babies into the perfect half square triangle units. 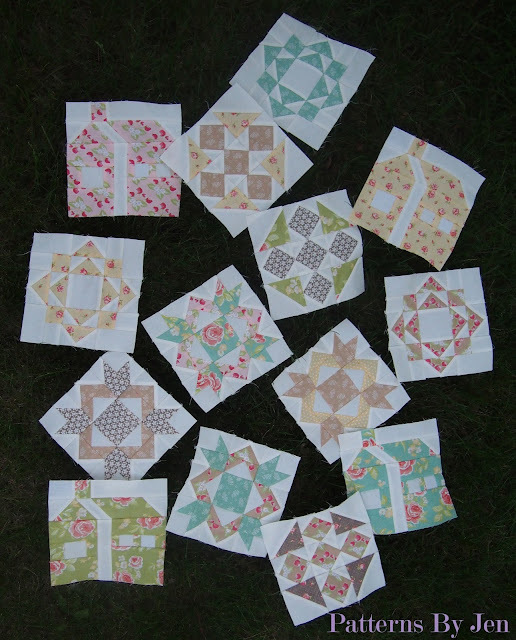 Once all of your units are pieced and pressed, you get to put these blocks together. Pin those seams and stitch away. 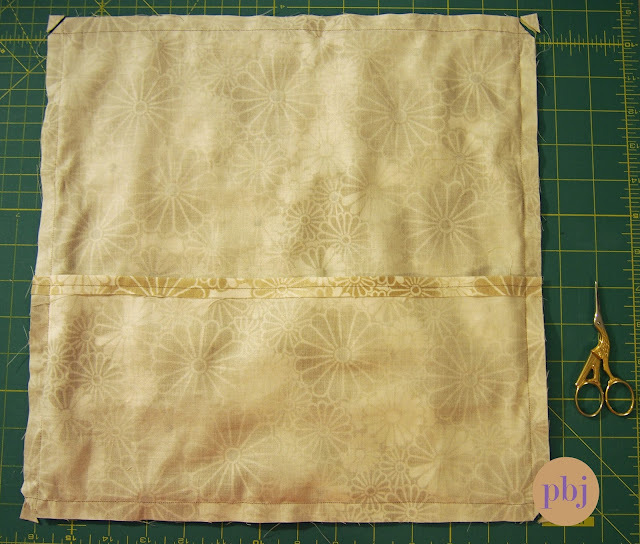 Once I get to the pin I pull it out before the needle hits, but not before I have gone over the seam to keep it in place. Beautiful, beautiful blocks. It's coming together, but there is still time for you to join. The pattern is free, The Fat Quarter Shop just asks that you make a $5 donation to March of Dimes. They haven't met their goal yet, so think about joining and helping a great cause.